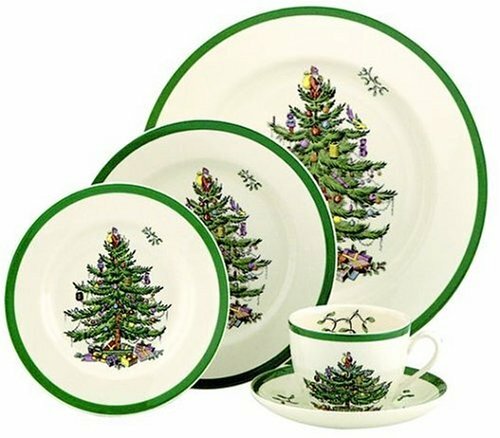 The Spode Christmas Tree dinnerware collection has been gracing Christmas dinner tables since it made its debut in the United States in 1938. Founded by Josiah Spode, the Spode company has been manufacturing fine English bone china since 1770. It was Josiah Spode II who was responsible for the successful marketing of the product. The Christmas Tree pattern introduced in 1938 and is the oldest holiday pattern in the United States today. 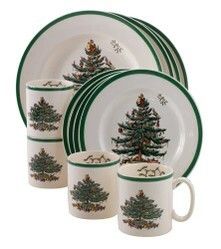 The popularity of Spode Christmas Tree dinnerware is unparalleled by any other. 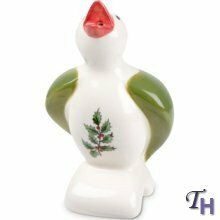 It's is loved by serious collectors and seasonal consumers alike as it summons warm and cozy memories of Christmases past. Above photo Amazon product available below. 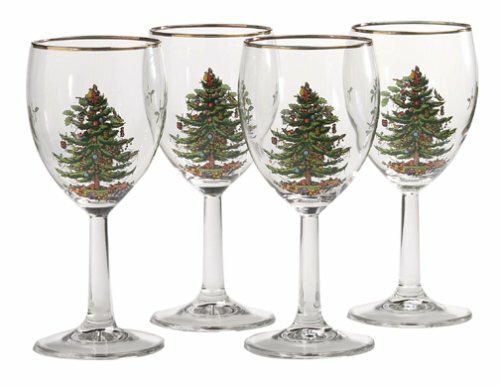 This is a great way to start a collection of Spode Christmas Tree dinnerware for yourself or to start a collection as a gift. It's a 12 piece service for four which includes 4 dinner plates, 4 salad plates and 4 mugs. For added convenience, this set of dinnerware can be used in the dishwasher, oven, freezer and microwave. The Spode Christmas Tree dinnerware creates a charming holiday feeling of nostalgia with its evergreen tree decorated with brightly colored ornaments and presents beneath the tree. This single place setting for one includes a dinner plate, salad plate, bread and butter plate and a delicate teacup and saucer. 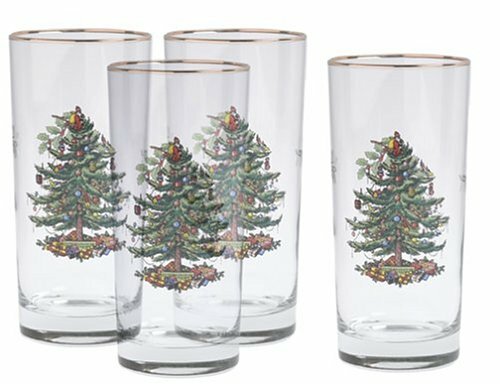 The festive look continues on these sets of tumblers and wine goblets. Each one is a perfect vessel for toasting good friends and family together at the holiday season. Sprigs of holly and mistletoe adorning each piece. It's the careful detail on every piece that makes Spode a collectors classic. Spode Christmas Tree pattern has been a tradition since it began in 1938. As the family grows so does the collection and the tradition lives on. The pieces are passed down for generations and new pieces are added as they are introduced by the manufacturer. Spode combines durable pottery with the appearance of fine china to create this time tested dinnerware that graces family Christmas dinners. The classic Christmas Tree pattern blends attractively with complementary linens and flatware. It also coordinates with the many Spode service pieces available. Butter dishes, salt and pepper shakers, beverage pitchers and cake servers to name just a few. I like to call it elegant durability. Share what you love on Wizzley. Sign up here. candy47, If it ain't broke, don't fix it! Spode has been getting it right with dinnerware and glasses since 1938. Add a touch of nostalgia to your Christmas card list with reproductions of vintage Christmas cards.